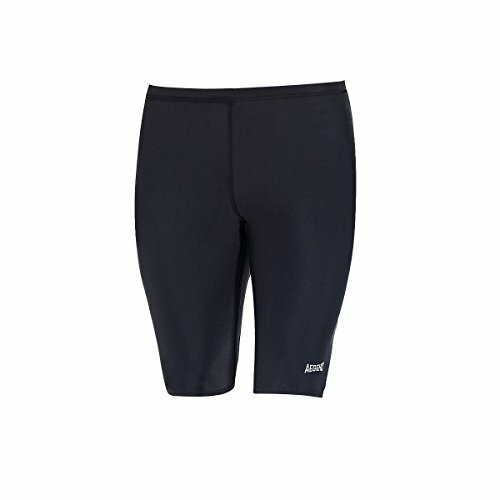 ★ Aegend high quality swim jammer, you're worth it. Size 30 ____Waist:34"-36"; Hip: 38"-40"
Size 34_____Waist: 38"-40"; Hip: 42"-44"
Size 36____Waist: 40"-42"; Hip: 44"-46"
Size 38_____Waist: 42"-44"; Hip: 46"-48"
Recommend to select next smaller size, if you are near the border between two sizes. ★HAND WASH COLD WATER, HANG OR LAY FLAT TO DRY. ★ Trust us, we will not let you down! All of our Aegend products are provided 12 months guarantee! If you don't absolutely love your new Aegend Swim Jammer, we will replace it or make a full refund for you. If you are skeptical about purchasing our products, if you are not satisfied with the product you received, if you have any question or problem, you are warm welcomed to contact our service team. We will spare no effort to provide solutions right off the bat. √ SUPER COMFORTABLE: Breathable stretch fabric ensure maximum comfort. Also helps to enhance muscle compression, reduce muscle fatigue and muscular tension. SOFT LINING PROVIDE EXTRA CARE AND COMFORT FOR YOUR PRIVATE PLACE. √ 100% CHLORINE RESISTANT: Stand up to any harsh chlorine environment without fading. Great for lap swimming, competition, and all water sports. Available in size 30-38. √ LONG-LASTING DURABILITY：Durable polyester fabric last longer than traditional Nylon fabric, providing great shape retention, strongly resist sagging and bagging. √ QUICK DRYING: Water repellent technology dries quickly. | UV PROTECTION 50+ | *ALL OF OUR PRODUCTS HAVE 12 MONTHS GUARANTEE!